Find the motivation at Lorna Jane to be your best. The best in Active wear, gym clothes, yoga outfits and workout gear. Shop online for fast delivery. 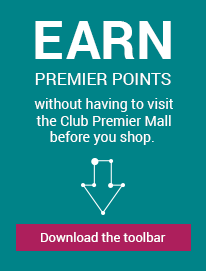 Special Terms: Member rewards are not eligible on the purchase of gift cards & e-gift cards but are eligible on the redemption of gift cards and e-gift cards, Purchases made offline are not eligible for rewards. The Standard Shipping Rate to all other international destinations (excluding the above list) and is a flat rate of USD$20 per order. Please note this is transport costs only and does not cover any import liabilities that may be applied by the Government of the destination country. By confirming a purchase, you are accepting responsibility for all Customs Charges incurred. You will be importing goods into your destination country. Lorna Jane wishes to remind you that as the importer of goods you are legally responsible for any and all taxes, duties, and charges by your Government. We accept Visa, Mastercard. Discover and American Express. If for any reason you decide that you no longer want an item purchased from www.lornajane.sg, simply return it to us within 14 days of purchase and we will gladly offer you a refund, gift voucher or exchange (your choice) equal to the amount paid for the goods (except for any personal care merchandise). If you opt for a refund, this will be processed via the payment method used at the time of purchase. It is important however that the item(s) and any packaging and ticketing which the goods may have come in/with, are in the same condition as when they left the Lorna Jane warehouse. It is also important that you have a proof of purchase of the goods, clearly identifying that the goods were purchased from www.lornajane.sg. If either of these 2 conditions are not met, we will unfortunately not be able to provide you with a refund, credit or exchange unless the item(s) are faulty.